Come along on a paddling adventure. Grab a paddle as the author leads you on day trips and overnight adventures on the rivers and lakes of northwestern Washington. Paddling the Pacific Northwest takes you to out-of-the-way destinations where kayaking allows us to pursue our innermost individual freedoms. Come along on freshwater exploits in a sea kayak as a Canadian paddler heads south to probe the rivers of Washington, searching for “slow pushers” to propel his kayak lazily downstream mile after mile. 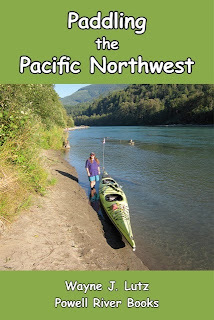 A travelogue memoir of enlightening adventures set in the magic of the Pacific Northwest.